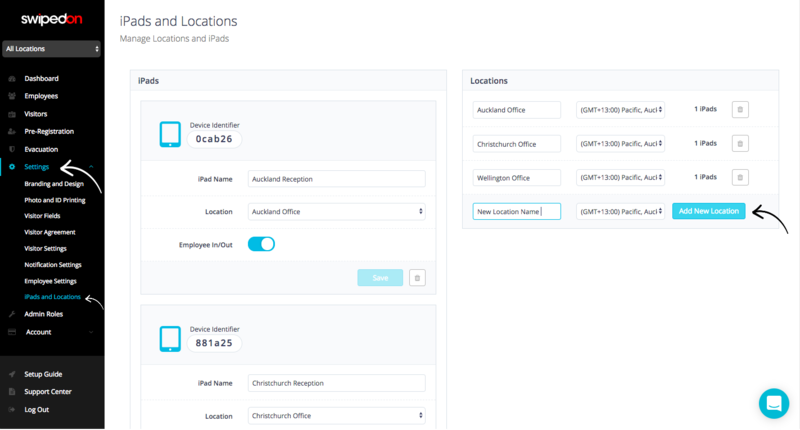 Once the Enterprise plan has been activated, you can create new locations and manage them within your SwipedOn admin portal. If the Enterprise plan has not yet been configured please contact us here or use the chat bubble at the bottom right-hand-side of this page. If your Enterprise plan has been configured but not activated, this help article will step you through how to activate the subscription. Click on 'iPads and Locations'. Enter the name of the new location. Click on 'Add New Location'. Enter in the iPad name e.g Reception. Select the location you wish to be associated with that iPad by clicking on location just below the iPad name. Then click 'Add new iPad'. 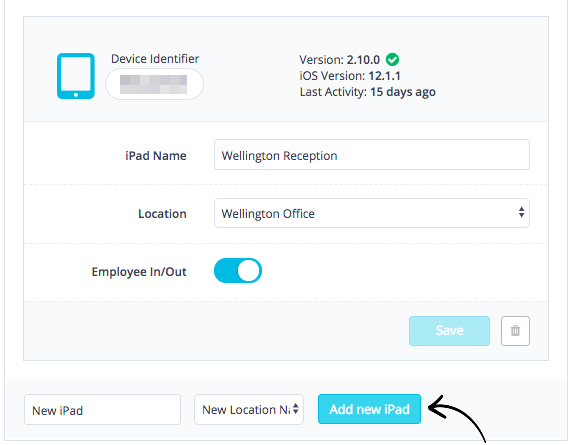 Once the new location(s) and iPad(s) have been configure in your account, you can upload the new locations' employees. Filter the view so that only the new location is visible by clicking on the 'All Locations' drop down box. 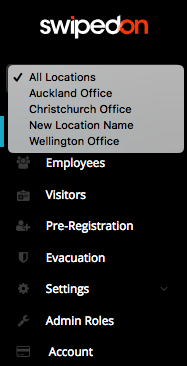 Select the name of location the employees need to be added. To find out more about the employee upload process, please find our help article here. All of the settings within the account are shared across all locations, i.e. branding and design, visitor agreements. However each location holds a separate employee and visitor list. If you need individual settings per location please get in touch with us here, or via the live chat bubble in the bottom right-hand corner of this page to discuss an alternative solution.